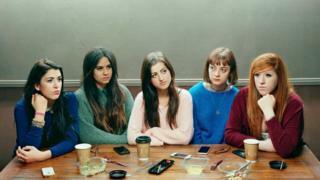 Photographer David Stewart has won the Taylor Wessing Portrait Prize for a shot of his daughter sitting with four of her close friends. Stewart won 12,000 for Five Girls, his picture of the group at a table strewn with coffee cups and mobiles, taken just after they had graduated. 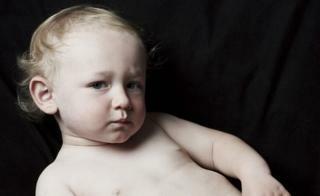 Second place went to Anoush Abrar’s photo of a young boy, inspired by Caravaggio’s Sleeping Cupid. An image by Pete Zelewski of a woman near London’s Oxford Street came third. All the winning photos will go on display at London’s National Portrait Gallery from 12 November until February next year. Stewart’s winning shot is a follow-up to a picture he took of the friends together seven years earlier, just before they were to start their GCSEs. Of his winning picture, Stewart said: “I have always had a fascination with the way people interact – or, in this case, fail to interact – which inspired the photograph of this group of girls. This year is the 16th time London-based Stewart – a former music photographer of punk bands including The Clash – has had a shot selected for the annual Taylor Wessing Prize exhibition. The prize-winning photographs, and those selected for inclusion in the exhibition, were chosen from 4,929 submissions entered by 2,201 photographers from 70 countries. Iranian-born Anoush Abrar won 3,000 as the runner-up. “Somehow I needed to make my own Sleeping Cupid,” said the photographer, who now moves between London and Switzerland. Third place winner Peter Zelewski, from London, picked up 2,000 for his picture, Nyaueth. It shows a young woman seen near London’s main shopping area of Oxford Street. He has included the image in his series of pictures Beautiful Strangers. “The aim of Beautiful Strangers is to challenge the concept of traditional beauty with a series of spontaneous and powerful street portraits of everyday citizens who show character, uniqueness and a special inner quality,” said Zelewski. 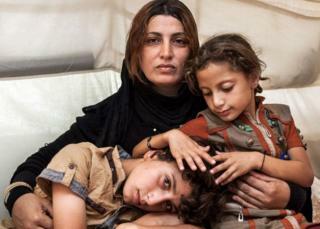 A 1,000 prize for fourth place went to documentary photographer Ivor Prickett for Amira and her Children. It was taken in northern Iraq in September 2014, when Prickett was on an assignment for the United Nations’ high commissioner for refugees. The John Kobal New Work award went to Slovakian photographer Tereza Cervenova for Yngvild, a portrait of the photographer’s friend the day before a mutual friend’s wedding at Veluwe National Park in Holland. This year’s exhibition also features previously unseen prints from a new body of work by the award-winning South African photographer Pieter Hugo. The Taylor Wessing Photographic Portrait Prize 2015 exhibition is on at the National Portrait Gallery in London from 12 November – 21 February.